After the partial success of the first Hayabusa mission, the Space Agency of Japan's second sample and return mission is rapidly (about 2.5 metres per second !) 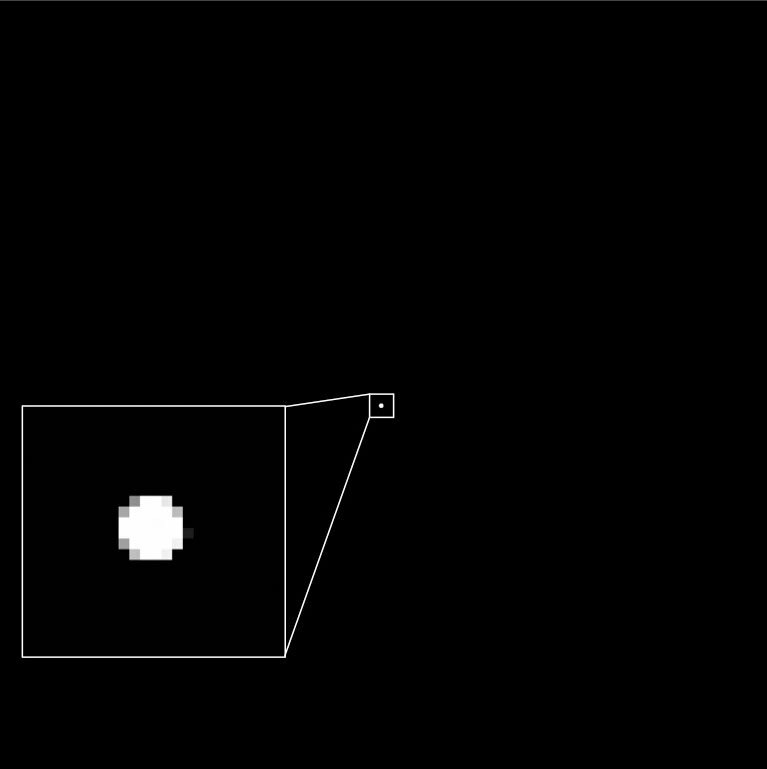 approaching Ryugu - its target asteroid. It's currently about 2060 km away. The approach (and mission links) can be followed here. ETA Wiki & JAXA (English) pages. OMG it looks like Asteroids, the video game! The Small Carry-on Impactor (SCI) is a small drop-off explosively formed penetrator, consisting of a 2.5 kilogram (5.5 lb) copper projectile and a 4.5 kilogram (10 lb) shaped charge. Unless it's like a glass bauble, there shouldn't be too much resemblance to the video game, but what do I know? I mean the picture of the asteroid that you posted above, not the mission. Yes, I got that - I'm just saying that any upcoming damage will be short of that modelled in the game - unless something's seriously amiss. The_Piper wrote: OMG it looks like Asteroids, the video game! That wasn't an ordinary video game you were playing. You were being used by a higher intelligence. It was a remote console and I was blowing up innocent Avatar creatures home worlds? newolder wrote: Yes, I got that - I'm just saying that any upcoming damage will be short of that modelled in the game - unless something's seriously amiss. Ok, well I hope it won't be so destructive. They may find something so interesting in the sample return that they want to get more. Kewl animation. Just for the record, I was aware that there are countless other asteroids, but I meant something more interesting than just "expected interesting". Something that wouldn't necessarily be on just any random asteroid. Taking the time and effort to land on a different asteroid hoping to find a sample of that same interesting something, or to learn more about that same something interesting, may not be a sound investment of time and resources. The population of asteroids is large and with few exceptions all had a similar origin in the Solar system's proto-disk. 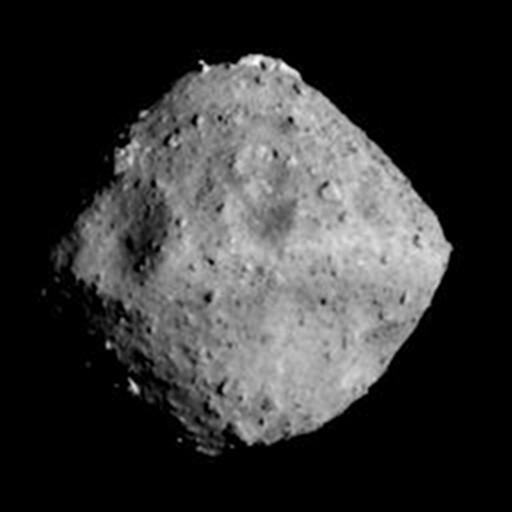 There's a predominantly ice/rock differential out there but I don't yet know the composition of Ryugu. There's a slim to vanishing chance that Ryugu is a single elemental block of gold, silver, platinum or other from an earlier neutron star merger or supernova blast, covered in dust. Who knows until the probe gets there and does its stuff? If we are running a sweep, I'll have a euro that any successful return will comprise dusty rock with a hint of tardigrades/aliens. newolder wrote: The population of asteroids is large and with few exceptions all had a similar origin in the Solar system's proto-disk. 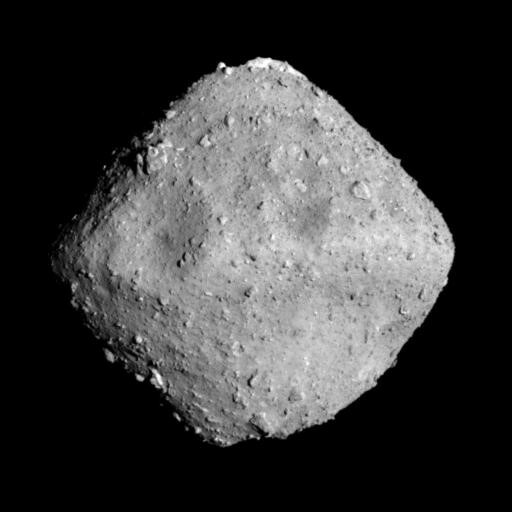 There's a predominantly ice/rock differential out there but I don't yet know the composition of Ryugu. There's a slim to vanishing chance that Ryugu is a single elemental block of gold, silver, platinum or other from an earlier neutron star merger or supernova blast, covered in dust. Who knows until the probe gets there and does its stuff? What's a sweep, a sweepstakes? The asteroids virtually all share a common origin, and there is what one might expect to be a one in a million chance of hitting on something truly unique, but they've been separate from each other for billions of years. So maybe it's only a one in a thousand chance of being interestingly unique, by this point. I wasn't even thinking of precious metals, more like "precious" chemistry, or some other random cool thing. Mark my bet down for no tardigrades though. 40 km and closing at about 110 mm/s. We live in amazing times. I hope we survive them. 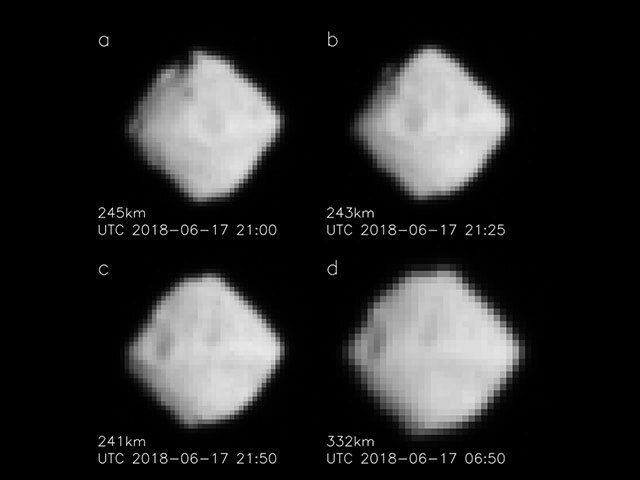 JAXA confirmed Hayabusa2, JAXA's asteroid explorer rendezvoused with Ryugu, the target asteroid. Look! It has a north polar ice cap! Otherwise, it looks like a gigantic Tater Tot. In the vacuum of space, all the golden tater color got sucked away.